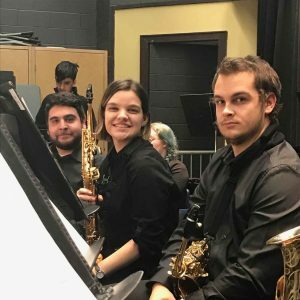 On November 21st 2018, the York University Wind Ensemble visited Markham District High School to assist with Elementary School clinics. 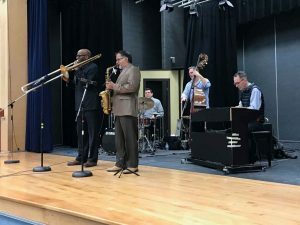 The day was filled with fun activities including three different mass bands, two sessions of mass choir and a performance by the York University Jazz Mobile. The day started with three different mass bands; each group played one standard band piece and one movie song. One group worked on Pirates of the Caribbean, one worked on The Dark Knight and one worked on Star Wars. The elementary school students had the opportunity to meet students they could be playing with in grade 9. 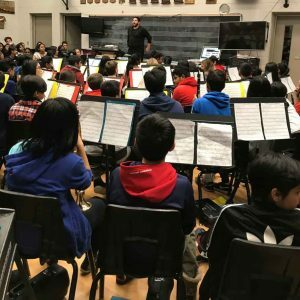 After the first rehearsal session, the students of the York University Wind Ensemble ran clinics with the elementary students.  The kids got to learn all sorts of tricks to help them play their instruments. After the clinics, half of the kids had pizza lunch and the opportunity to listen to the York University Jazz Mobile. 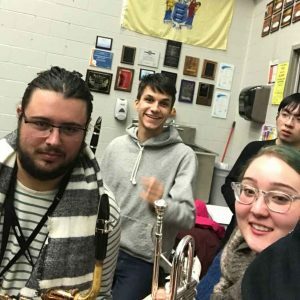 This group consists of five professors at York who travel playing jazz music, to show kids how awesome it is to do music in secondary and post-secondary school. 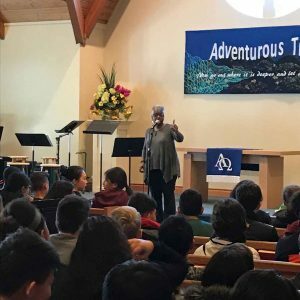 While half of the kids had pizza lunch, the other half got to take part in a mass choir with Dr. Karen Burke, who runs the Gospel Choir at York. She had these groups of grade 8 students singing simple songs with a gospel beat underneath, and it sounded fantastic! Most of the kids had never sung in a choir before, and she had them singing out and really getting into the music. Even those of us from York had a great time sitting in on the mass choir. After both groups of kids got lunch and had their mass choir, they went through one more mass band rehearsal before their evening concert. 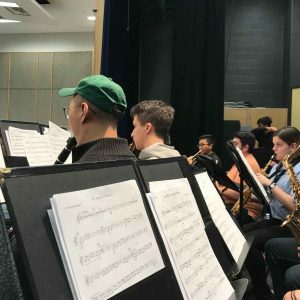 The kids went back to their schools and the York Wind Ensemble had time for a rehearsal in preparation for the evening event. The evening concluded with a performance by each of the three mass bands. 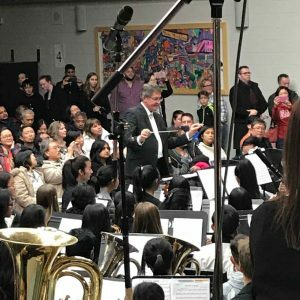 One of the mass bands was conducted by Professor Bill Thomas, the conductor of the York Wind Ensemble and the chair of the York Music Department. 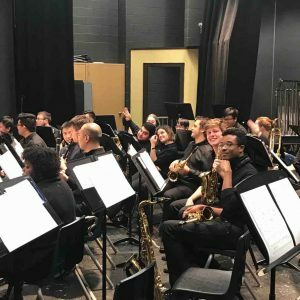 In between the elementary performances, the Wind Ensemble played some of the music that we had been working on for our upcoming concert. 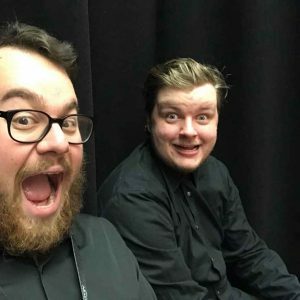 As you can see, we had a great time on stage showing the kids how much fun it is studying music beyond high school! Overall, the day was incredible and we hope to be back again next year!